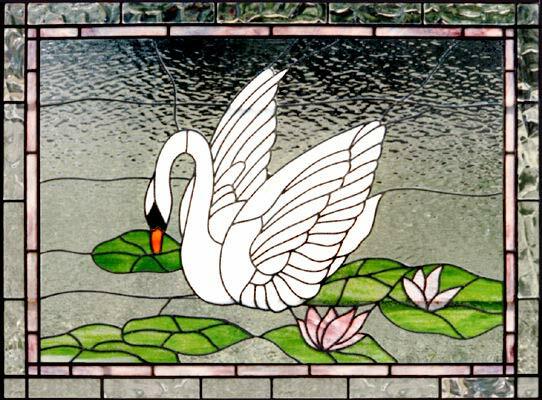 Swan 3 Leaded Stained Glass Window Custom Glass Design. "SWAN 3" LEADED STAINED GLASS WINDOW CUSTOM AT GLASS BY DESIGN. This custom stained and leaded glass swan window was 48" x 36".